February brought more photos and plenty of skating during the wedding "off-season". Marky delivered a blunt slide on this particular barrier session. Timmy brought forth a back smith. Shot for Dustbiter Supply. More street missions with Colin - bump to bar ollie for SkateBoner Magazine. Colder weather didn't stop us from riding bikes and sessioning BJ's ramp. 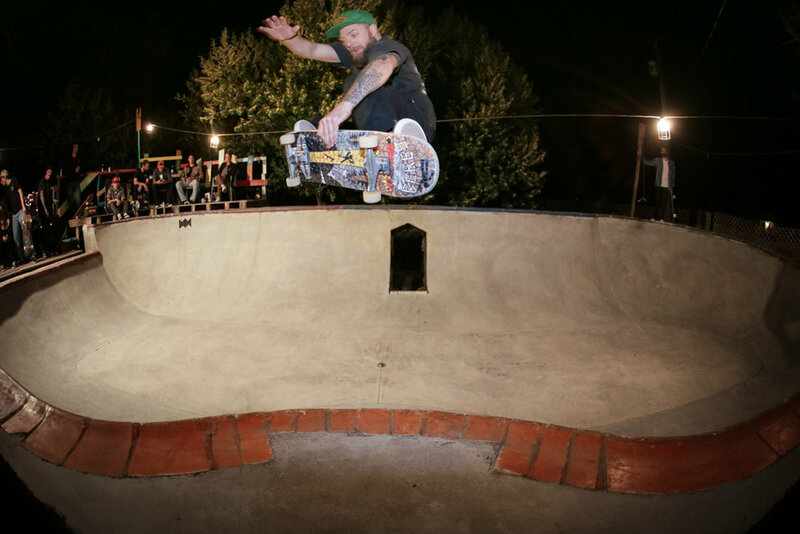 The owner himself sticks a melon fakie. Colin 5-0 on the humped extension. Nickademus backside air after coming back from a heavy leg break in December. Sundays are for Church...bowl. Still not empty from October's hurricane weather, the church boys decided to build on higher ground. Timmy J front blunts the new new. 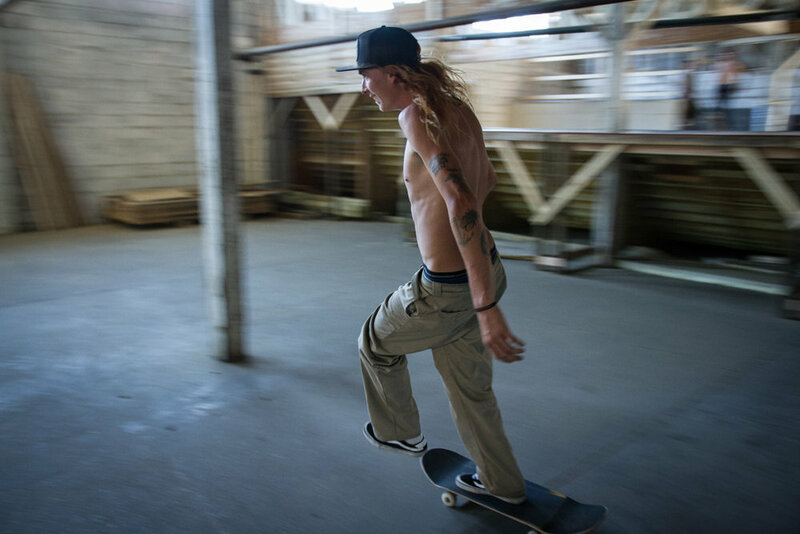 Harshbarger takes a blunt fakie. Wells and I went out to shoot some catalog stuff for Satori Wheels. We stopped by Coke Bank for a quick back noseblunt. Then we headed under the bridge for a banger backside flip. March brought the inception of "The Space". 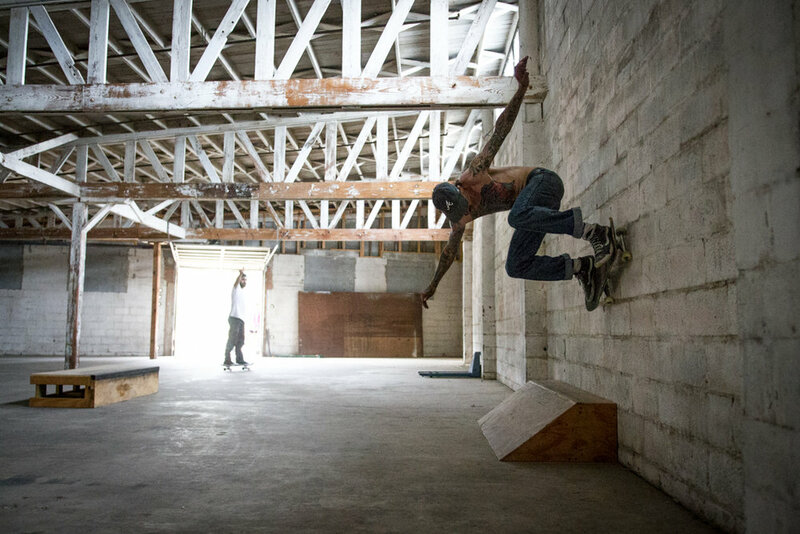 A few guys got together and rented a warehouse outside of downtown Wilmington and started bringing boxes and rails and what-have-you. Nick here, wallrides one of the early set-ups. Not a bad squad to rent a place with. Warmer nights means longer sessions. Yonkers back crails the doorway in heaven. Harsh catches some air, as they say. Back in the streets, Colin gives his best Kenny Hughes tribute with this downtown ollie drop. Wedding season kicked off in late March with a cloudy downtown shindig for the Webb-New family. The kids, of course, are always a pleasure to photograph. The lovely couple and their progeny. Looks like someone got into the cupcakes. After the wedding, we got back together at the Arboretum to shoot some more photos since the weather wasn't too nice day-of. We lucked out and got some color. Xyler was hilarious and animated. In early April, I got to watch my childhood babysitter (and my best friend's older sister) get married. Liz and Thomas celebrated their big day at the Atrium in downtown Wilmington with a little Greek flavor. Looks like Thomas was glad the hard part was over. Nothing like a stroll downtown after you get married. Only one week after the previous wedding, I drove up to Hillsborough to shoot the wedding of Andrew and Katherine, a couple that also went to Appalachian State. They specifically asked to shoot a "serious" photo and I think this turned out to be one of the best! Nothing beats a couple with a sense of humor. Except, maybe, a couple who is totally in love. I somehow managed to fit a bridal shoot with my longtime friend Maggie in my busy April. This was at Greenfield Lake. Yep, one more April wedding. Chad and Jessica got hitched at Halyburton Park, within a short bike ride of my mom's house. The officiant had quite a few jokes. And the cake cutting got a little messy. Back at the warehouse, things started coming together. BJ's ramp was brought indoors, more obstacles kept piling in, and the cold beers never seemed to stop flowing. Drills whirring day in and day out. Another back smith from Timmy J.
Mincher felt like standing upside-down. Nick also wanted to stand upside-down and he decided to start ripping extra hard for his video part and "bro spotlight" in SkateBoner Issue #6. Here's a photo of the Nick's ending fastplant. I think that's a good ending to part 1.